Creed II came out recently. It is the sequel to 2015’s Creed and is the latest addition to the 40 year old Rocky franchise. The new movie follows Adonis Creed after his fight in the last movie. A few years later, the son of Ivan Drago, the man who killed Adonis’ dad, challenges Adonis to a fight and that’s the basic premise of the movie. Michael B. Jordan, Tessa Thompson and Sylvester Stallone return from the last movie and Dolph Lundgren reprises his role as Ivan Drago. I loved the first Creed and I’m a huge fan of the franchise so naturally, I was super stoked for this one. Unfortunately, it doesn’t live up to the standards of the first one, but Creed II is still a good movie. One of the best parts about this movie is yet again the performances. Sylvester Stallone got a nomination for the last one and he nails every scene yet again. Rocky is one of my favourite movie characters. I get excited every time I see him on screen. Rocky also has a great conclusion to an arc that has been going on for a few movies now and there was a great emotional moment towards the end of the film. Michael B. Jordan is also as great as he always is. One of the things that carried over from the last film was the chemistry he had with Tessa Thompson. Those two bounce off each other really well and the romantic aspect of the relationship between the characters felt so real and natural. Despite the fact that most of the cast and crew returned from the last film, Ryan Coogler did not. This was made pretty clear in multiple scenes throughout the movie. 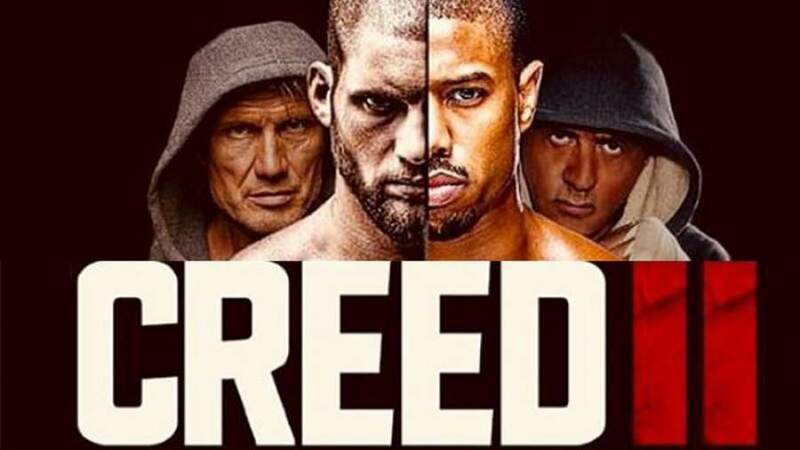 The direction doesn’t seem as unique as the first one and even though the action in this movie is well choreographed, nothing really matches the one-take sequence in Creed. However, the action is still great. The actor who plays Drago’s son is incredible. Several of the training sequences look great and the action is very intense. The Drago family also has a more fleshed out backstory than Rocky IV and I appreciated this. I genuinely felt bad for the characters at several moments throughout the movie and that surprised me as I expected more of a Rocky IV type Drago treatment. Even though I did enjoy the emotional beats of the story and how fleshed out and developed the characters were, the story was formulaic. Most of the movie was predictable. It did nothing unique compared to the other Rocky movies which is a shame considering there were several opportunities to subvert expectations. Despite this, Creed II still manages to tell an emotionally powerful story. In fact, the way the ended it was so great that I really hope they don’t make a sequel. As a fan of the original, I was pleased with all the references to prior Rocky films. This movie is packed with small call backs to other movies. I should also acknowledge that as a huge fan, I was not pleased with the score. There are several moments where I would have used the original Rocky theme. For some reason the movie didn’t take advantage of this. Maybe if the score and soundtrack they used instead didn’t feel so off this problem would have been very hard to observe, but the score and soundtrack feel so oddly placed that it impacted some of the scenes negatively. Especially some of the beginning ones. Although it has a formulaic structure and is technically inferior to its predecessor, Creed II is still a good time. This is because of the well developed characters and central conflict of the movie.